Take heart, young one, the Hearthstone World Championship is near! Soon, 16 of the most skilled card-slingers from all over the world will gather together to duel for a treasure trove of $250,000. 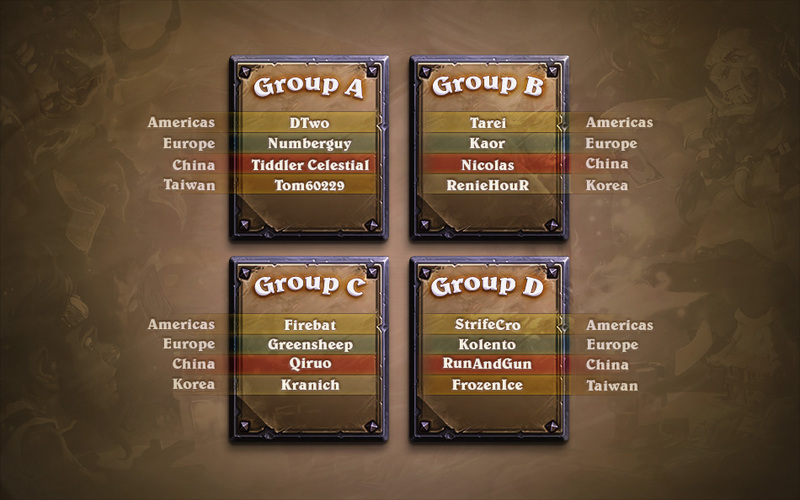 Players from Europe, the Americas, China, Korea, and Taiwan have been placed in four different groups, with each player vying for a spot within the Top 8 finalists! 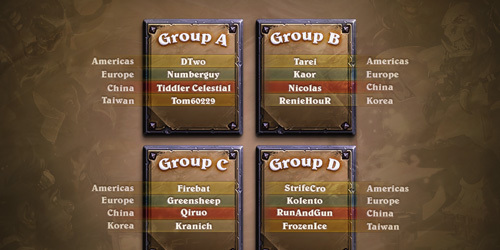 The Hearthstone World Championship begins on November 2nd and 3rd at 19:00 CET at ESL’s Burbank Studio. Community casters Dan “Artosis” Stemkoski, Dan “Frodan” Chou and Isaac “Azael” Cummings-Bentley will join Hearthstone balance designer Ryan “Realz” Masterson and Senior Game Designer Ben Brode in breaking down all of the card-slinging action live on the official PlayHearthstone Twitch. Americas Championship Host Rachel “Seltzer” Quirico will once more take up her microphone and interview the players as the matches unfold.